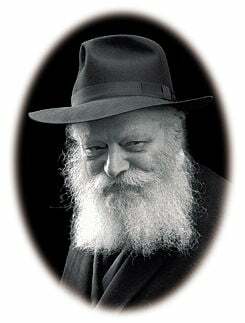 In 1951 Rabbi Menachem M. Schneerson became the new Lubavitcher Rebbe. The main goal he set for himself and for the entire Chabad-Lubavitch movement was to reach out to all Jews with the kindness of the Torah. He immediately began sending his emissaries, trained Rabbis, to Jews all over the world. These emissaries, “Shluchim”, in Hebrew, at first numbered a few dozen. Now, fifty years later, thousands of Chabad Shluchim live in all remote corners of the world, spreading the message of Torah, Mitzvot and Jewish identity. They work to enhance Jewish Community life, bringing Jews together and promoting the pleasantness of Torah and its Mitzvot, no matter where they go. Their Community Centers, called Chabad Houses, form the resource from which Jewish Community life is promoted. Everywhere there is a Chabad House, you will find the attending Shluchim promoting Jewish Community life, including providing educational programs for both young and old, home and hospital visitations, bar-mitzvah and marriage services, funeral services, and synagogue services. Chabad philosophy maintains that the very word “Jew” refers to the indestructible soul of the Jewish person, rather than to religious practice. Certainly there is no such thing as a “bad Jew” because the soul is what makes the person Jewish, not the person’s religious behavior. Thus Chabad accepts all Jews as a matter of principle. You don’t have to become a member of Chabad, because you’re already a member—you’re Jewish. For this reason Chabad sees all Jews as family, greeting them warmly with love. Your local Chabad House, Chabad of N. Broward Beaches, is one of thousands of Chabad Houses worldwide and one of 140 in Florida. As a Chabad House, Chabad of N. Broward Beaches functions first and foremost as a Jewish Resource center. All activities are geared towards fostering a sense of belonging and a positive identification with your Jewish soul. Chabad of N. Broward Beaches maintains a year round schedule of events tending to the needs of all age groups within the community. Chabad has been serving the Broward Beaches community for almost 2 years with varied educational programs and social services. We offer adult education classes, Holiday programs and celebrations, Shabbat services, workshops, lectures, prison and hospital visitation; the list of ongoing activities is endless. The success of all the above and the growing popularity of Chabad in our area are clear indications of the need for this work to not only continue but to grow and flourish. The support we have received from people within the community, has effectively secured these programs and services provided by Chabad of N. Broward Beaches. Chabad philosophy does not measure success in physical terms - with figures, tables, charts, graphs and numbers. We don’t keep a list - every mitzvah is a success in itself. We’re not counting. We’re doing. In keeping with this philosophy, Chabad of N. Broward Beaches programming is engendered to bring the joy of Judaism, Torah and mitzvot to as many Jews as possible, in cooperation with local synagogues and other Jewish organizations. Whatever will bring Torah and Mitzvot to more Jews, we do. That’s why we’ve done all the things we‘ve done. And that is why Chabad of N. Broward Beaches plans to add more classes, more frequent services and more holiday programs: to involve as many Jews as possible with great experiences in Judaism. And that’s why you have a personal invitation to Chabad of N. Broward Beaches- you’re Jewish! The three loves - love of G‑d, love of Torah and love of one's fellow - are one. And since they are of a single essence, each one embodies all three. The Rebbe went on to explain that the fact that "each one embodies all three" has a twofold implication. It means that unless all three loves are present, neither of them is complete. But it also means that where any one of the three exist, it will eventually bring about all three. A person who loves G‑d, and is open to this love, will eventually come to love what G‑d loves- all His children. And his love will drive him to wish to bring G‑d's children close to Torah-because that's what G‑d loves. One who loves the Torah, will eventually internalize the recognition that the Torah's purpose and raison d’être is to lovingly bring together G‑d and all His children. And one who truly loves a fellow Jew will inevitably come to love G‑d, since love of one's fellow is, in essence, the love of G‑d; and he will be driven to bring his fellow Jews close to Torah, which is the expression and actualization of their bond with G‑d. So if you see a person who has a love of G‑d but lacks a love of Torah and a love of his fellow, you must tell him that his love of G‑d is incomplete. And if you see a person who has only a love for his fellow, you must strive to bring him to a love of Torah and a love of G‑d-that his love toward his fellows should not only be expressed in providing bread for the hungry and water for the thirsty, but also to bring them close to Torah and to G‑d. In the five ensuing decades, the Rebbe's words became the mission statement of thousands of Chabad Houses and outreach centers throughout the world. It is no exaggeration to say that the "statement" issued that evening by a 48-year-old Holocaust survivor changed the face of world Jewry.